The outcry against Turner’s penchant for colorizing the classics culminated in Congressional hearings. These Amazing Shadows navigates the colorization controversy, illustrating the hue and cry with news footage of directors Sydney Pollack and Woody Allen appearing before Congress and clips of James Stewart speaking out on network TV. In 1988, the Film Preservation Act was passed and, through the Library of Congress’ National Film Preservation Board, brought about the National Film Registry. Among the tumble of Registry “culturally, historically or aesthetically significant” films glimpsed in These Amazing Shadows are dramas, comedies, musicals and animated features. The documentary‘s tone is generally serious, but there is also a fair sprinkling of whimsy. The grim but seared-into-memory footage of Abraham Zapruder’s famous home movie of the Kennedy Assassination is on the list as is a thought-provoking home movie (Topaz) taken in a U.S. internment camp for Japanese Americans during World War II. 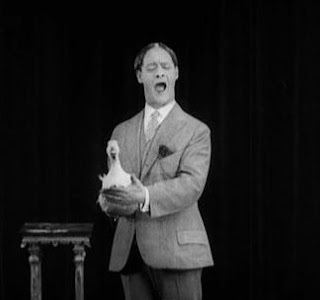 Yet there’s the bizarre sound film demo of Gus Visser and His Singing Duck, not to mention the jaunty theater intermission promo, “Let’s All Go to the Lobby (to get ourselves a treat)”…a mélange! These Amazing Shadows covers a lot of ground in an hour. There are nearly as many interviews (Debbie Reynolds, Paul Schrader, Christopher Nolan, Rob Reiner, Peter Coyote, John Waters and many others) as there are film clips. The program features reflections on movies in general as well as specific films and genres but also explores attitudes and issues (race relations, women in film, cold war propaganda). Naturally, D.W. Griffith’s legendary Birth of a Nation has its moment in the spotlight. Though an innovative groundbreaker, this film affects me in the same way Leni Riefenstahl’s Triumph of the Will does. Each is historically and cinematically relevant but promotes deeply offensive propaganda; Riefenstahl extolled the Nazis, Griffith the Ku Klux Klan. A central point, hammered home as the documentary comes to its conclusion, is the importance of preservation and restoration. 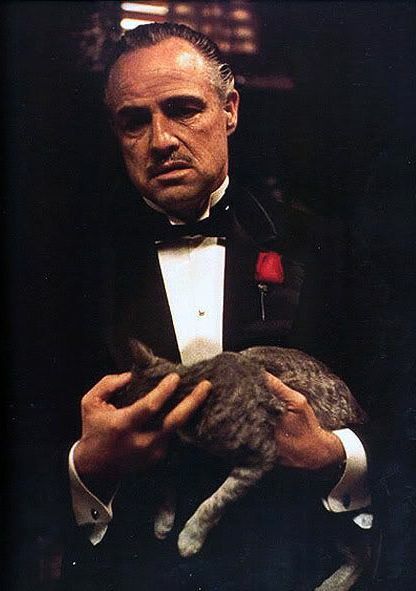 It was news to me that the original negative of The Godfather had been reduced to “tatters.” Overused because of the film’s immense popularity (“loved to death”) it was at one time in dire need of restoration. It’s no stretch to imagine that if The Godfather could nearly come to ruin, a terrible fate could easily befall less prominent, smaller films. And why would anyone care about saving movies? Well, that’s not a hard question for a film lover/blogger like me. Without film, my soul would shrivel and die. These Amazing Shadows takes the larger view - film is “our family album,” a part of American history and culture. Currently there are 550 films listed in the National Film Registry. Each year the Librarian of Congress, with input from the public and the National Film Preservation Board, picks 25 films to add to the Registry. 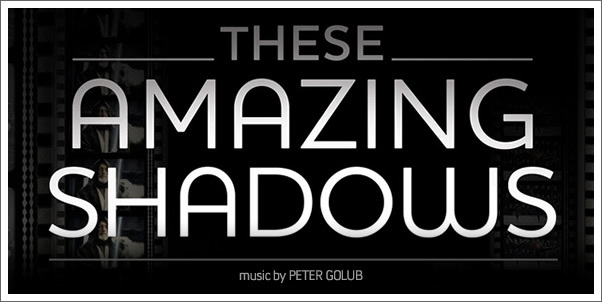 To learn more about These Amazing Shadows, an official selection of the Sundance Film Festival, click here. 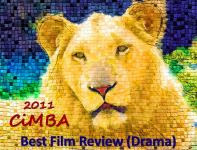 I have not yet seen this documentry. It sounds like a "must see" film for a classic movie lover like myself. 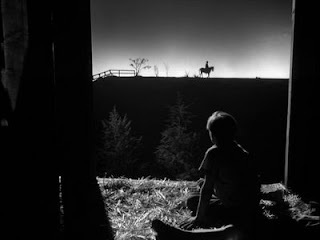 I really appreciate the few people who work many hours to help preserve films for all of us Classic Movie fans to enjoy.. I for one.. really appreciate all who work many hours to help preserve films. THESE AMAZING SHADOWS makes an excellent case for preservation and restoration - two subjects that are rightfully dear to the hearts of all lovers of classic film. And it underscores the point with clips from dozens of great movies. I agree. Preservation of classic films is a definite must. I would like to see this documentary. I love this sort of thing. Yvette, THESE AMAZING SHADOWS is an interesting and inspiring documentary (and was an official selection for this year's Sundance Film Festival). I learned some history and was entertained at the same time - always a good thing and no easy feat. Uh oh - still have to write my review. You are a tough act to follow! FlickChick - One of the nicest things about having posted this preview is that I received a very nice email afterward from one of the filmmakers, Kurt Norton. As I mentioned to him, my only quibble with THESE AMAZING SHADOWS is that it isn't longer. Becky, What I remember of "colorization" is that everything onscreen seemed a bit greenish and that no hue looked right. What was Turner thinking?!? So glad Ted & Co. moved on to something worthwhile, the creation of TCM. Wonderful work here, Eve, as always. Your background info on "colorization" is first rate. I have always refused to watch a colorized film, just could not do it. The documentary itself is a must see for any lover of film. Hi John, I thought your own take on this documentary was very insightful and enjoyable. I don't think I ever watched a colorized film myself - clips, yes, but not an entire film. Horrible color, as I recall. 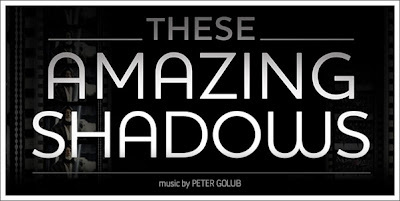 I completely agree that "These Amazing Shadows" is a must-see for lovers of film. The concept of colorization has become so identified with Ted Turner that it's often forgotten that its first initiator was none other than Hal Roach. In fact, I believe "Topper" was the first feature to be colorized, and that Cary Grant (who died in November 1986) endorsed the process (he may not have liked it aesthetically, but he thought at the time it would make some B&W films more accessible to younger audiences).